Want to stream your games from you PC right to your TV in 4K-quality? Check out one of the best Nvidia Shield deals here. Google have played their hand. Game-streaming seems inevitable. Well, almost. It's not quite as clean cut as that, and there is plenty to figure out and wait for regarding Google's model. But, if you wanted to try streaming games out now, you can by getting one of Nvidia's magical boxes called the Nvidia Shield. Described as a 'micro-console', this wonder-box can stream games, in 4K, directly to your TV—and so removes all possible needs for an additional machine or rig to plug directly into your 4K TV. So, this guide will sate you if you're after the best deals going for the box and you’re intrigued by the prospect of streaming. 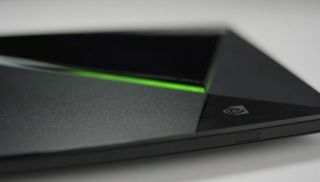 In addition to the streaming of 4K games, the Nvidia Shield offers a solid entertainment package too thus broadening its appeal and usage. It'll give you access to the usual Film and TV services like like Netflix and Prime Video, but also more niche services such as Plex and HBO Now—all in 4K and HDR. The Shield will also offer access to your music streaming services such as Spotify and Amazon music, and its fully compatible with Google Assistant, so can be another access point to your smart home tech and will offer a useful, entertainment-based entry point into those wider systems. By nabbing an Nvidia Shield on a good deal, you'll get you a versatile entertainment hub that will appeal to gamers first, but absolutely provide an effective hub that can project everything TV and film in glorious 4K and HDR, too, as well as another cool piece of smart home tech. The Shield comes in two models and its peripherals can also be bought separately, and there’s know a tablet that can be thrown in the mix too. To avoid all the confusion and to ensure you pick up the best priced deal for whatever you need, here's a breakdown of how the Nvidia Shield family all pans out. For those looking to harness the 4K HDR game-streaming power of the Nvidia Shield, the package aimed at gamers that includes a controller—similar to an Xbox One controller, it has vibration enabled within it and reportedly has a 50-hour or so battery life. The vanilla package is the go-to usually, though, perfect for those entering the Shield world and not necessarily in need of Nvidia’s own controller. It comes as a standard device-and-remote package that you will get you going easily and speedily. The remote can be picked up individually, if you need to replace one or get an extra one for another Shield device (it's compatible with all Shield devices). Alongside its normal capabilities, you can plug your headphones directly into the remote and sit back to enjoy your TV, Film or gaming without disturbing anyone else. It lasts around 40 days on a single charge and when it does run out of juice, it only takes a few hours to fully charge. The controller can also be picked up separately and is a worthwhile look if you get on with Nvidia handset. As well as the built-in vibration and 50-hour battery life, it is also compatible with PCs that have Windows 7, 8, 10 and GeForce GPUs and GeForce Experience software. This gives it a bit more versatility, particularly so when you can add in compatibility as a Bluetooth controller for use with android phones and tablets. The Shield device that flies lowest under the radar is the Nvidia Shield Tablet K1. Labelled as the ultimate tablet for gamers upon its release, it has a 1080p, 8-inch screen and two front-facing speakers so looks and sounds the part. It also has an Nvidia Kepler GPU and 2.2 GHz quad-core CPU within giving it a fair bit of grunt, but it can also access the GeForce Now supercomputers via the cloud, and an enormous gaming library via the same method, enabling you to play on the go, sometimes at 60fps. It’s compatible with both the above remote and controller, however, there is some bad news: it has been discontinued. The good news is that it is still available at some retailers, so it is still possible to get your mitts on one—though nowadays you’ll be one of the lucky ones. If the Shield isn't for you, but you still want to game in your living room, check out our list of the best gaming laptops for more options.